Every house and office should have a good paper shredder. Paper shredders help to keep your private information safe by destroying private and confidential documents that may contain sensitive information. While buying a shredder may seem straightforward, there are actually many factors to consider. 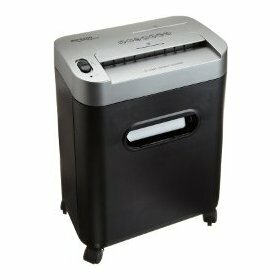 Here at Wise Bread, we've compiled a list of the top five paper shredders for you to choose from. A paper shredder is a machine that cuts paper into fine slivers. Many experts suggest that people regularly shred documents such as credit card statements, tax documents and other bills in order to help avoid fraud and identity theft. The most important factor to look for in a paper shredder is its security rating. In the U.S., government ratings for shredding range from a low of one to a high of six. Most experts suggest a minimum of level three crosscut shredders for homes and small offices. Another thing to look for is what exactly you are going to be shredding. If your shredding load includes things like paper clips, staples, or discs, then you'll want a heavy-duty shredder that can handle more than just paper. One of the most highly reviewed paper shredders out there, the Fellowes Powershred 79Ci is an all-around top pick. Excellent features, performance, durability, and functionality make this one a favorite among users. The Powershred 79Ci is capable of cross-cutting up to 14 sheets of paper at once with a security rating of up to Level 4. 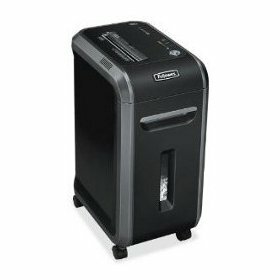 This paper shredder is also capable of shredding credit cards, staples, paper clips, and CDs. It comes with a number of safety features including a hand sensor that automatically shuts down the shredder if a hand gets too close. 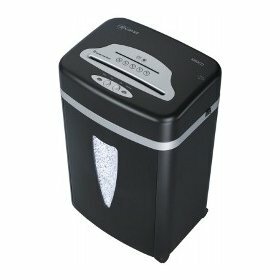 Users highly recommend the Comet CM-M10CD shredder for home and office use. The cross-cut blades cut your papers into fine shreds and are also capable of shredding credit cards, staples, paper clips, and CDs. A pull-out storage basket makes dumping your shredded paperwork easy. Users also greatly appreciate its quiet functionality. For those looking for a more powerful shredder, the Fellowes Powershed 99Ci is a good choice. Many users recommend the 99Ci for small businesses that need to shred paperwork on a daily basis. This Powershred claims to be able to shred up to 17 sheets at a time. Many users claim that the machine slows down at that capacity, but 10-15 sheets are easily handled by the shredder. This Fellowes model also includes the safety features of the other Fellowes shredder in this article, including the hand sensor. Finally, the shredder operates relatively jam-free and very quietly. Another paper shredder that is well-reviewed by users, the Royal MC14MX is capable of shredding up to 14 sheets of paper at once into tiny 4mm x 10mm pieces, helping to protect you from fraud and identity theft. A separate slot helps you shred CDs and credit cards. The 8.5 gallon wastebasket can hold approximately 575 sheets of shredded paper and is easily removed for simple cleaning. Users also appreciate the quiet functionality of this particular model. 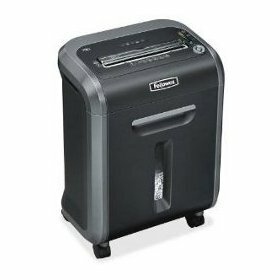 For those looking for a basic shredder without any of the fuss and at a very reasonable price, look no further than the AmazonBasics 8-Sheet Shredder. This micro-cut shredder cuts up to eight sheets at a time into small pieces, so you don't have to worry about the security of your documents. The shredder also features a special slot for CDs and one for credit cards. Users claim that, for the price, this shredder gets the job done, and done well. 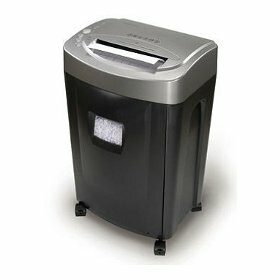 We recently realized that we would do well to get a paper shredder for our business. It would be a lot safer for our information and records. I don't know if anything like this will meet our needs, though. I think we might be better off with something more heavy-duty.